Place the pumpkin and tofu in a bowl and mix with an electric mixer well until it is smooth. Add the syrup and spice to taste and blend them together. Heat at a low temperature on the stove for a few minutes to help the excess liquid evaporate. Do not let the mixture boil. When it seems that it has thickened up a bit, pour it into dishes and set them in the fridge to chill. Lightly toast some nuts of your choice and set them aside. 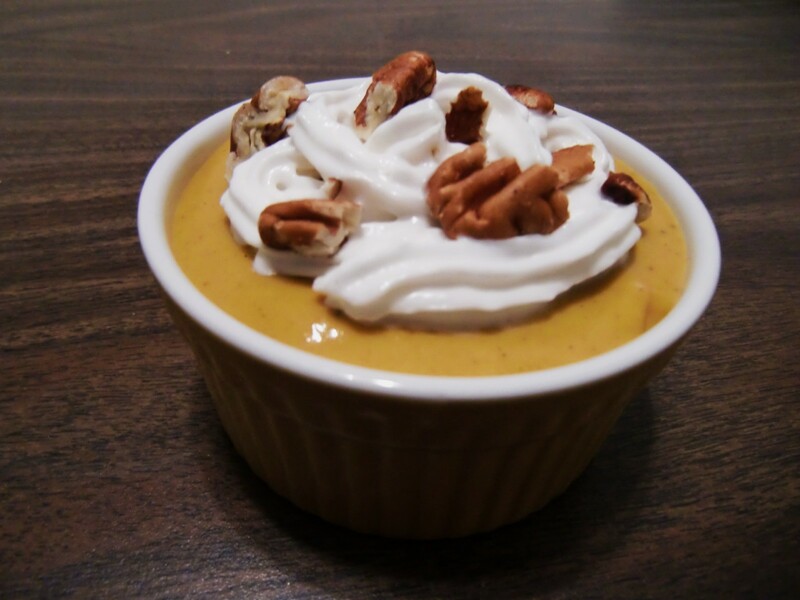 When you are ready to serve, add the whip topping and sprinkle with nuts. You can also serve it in a large dish if you’re attending a gathering. Enjoy the holidays!